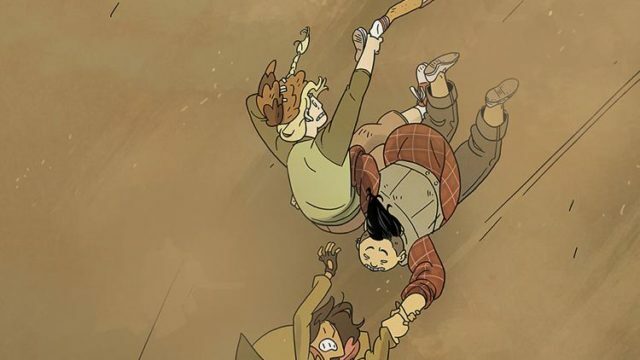 Lumberjanes #42 Publisher: BOOM! Box, an imprint of BOOM! Studios Writers: Shannon Watters & Kat Leyh Art: Ayme Sotuyo, Maarta Laiho, Aubrey Aiese Cover Artists: Main Cover: Kat Leyh Subscription Cover: Ayme Sotuyo Synopsis: The Roanoke gals might have accidentally… slowed down time? LUMBERJANES #40 Written by Shannon Watters and Kat Leyh Art by Ayme Sotuyo, Maarta Leiho, and Aubrey Aiese Published by BOOM! Studios Release Date: July 26, 2017 Parents’ Day at camp is finishing up, with an Abuelita rescue mission, a trickster to out-trick, and the surprise arrival of… Molly’s parents?